CMT's television series tells the story of Sam Phillips and the little Memphis studio that changed the world. Imagine what the world would look like today if Sam Phillips had never started a recording business out of 706 Union. The blues would still have been a fascinating Southern musical style, but would Howlin' Wolf have ever come to the attention of Leonard Chess' record label? Would B. B. King have ever moved beyond his career as a radio DJ? Rock-and-roll, or something like it, might have evolved anyway, even if Ike Turner hadn't been able to take advantage of the Memphis Recording Service's dirt-cheap rates to bring the Delta Cats in to record his song "Rocket 88" in the spring of 1951. But Elvis Presley would have never had the opportunity to record "My Happiness" for his mom and might have died a truck driver. Deprived of its biggest star — indeed, the biggest star the world had ever seen — would rock-and-roll have spread, or would it become nothing more than a regional novelty? Without Sam Phillips or Elvis, the Beatles would have been a skiffle band, if they'd ever bothered to pick up guitars at all. Without Sam Phillips, you wouldn't know who Johnny Cash was, and country music would lack its greatest poet and its social conscience. Without Sam Phillips, Memphis would be an insignificant backwater, not the origin point for America's greatest cultural export. Films and television shows have told the story of the birth of the music before. Elvis himself starred in Jailhouse Rock, which, on some level, was a version of his own origin story. In 1979, Halloween director John Carpenter cast Kurt Russell in a made-for-TV biopic called simply Elvis. Jerry Lee Lewis got the biopic treatment in 1989, when Dennis Quaid memorably played the Killer in Great Balls of Fire!. In 2005, Walk the Line dramatized Johnny Cash and June Carter's epic love story with Joaquin Phoenix and Reese Witherspoon. But while there have been nonfiction books and documentaries recounting Sam Phillips' story — most notably Morgan Neville's Sam Phillips: The Man Who Invented Rock 'n' Roll, based on Peter Guralnick's book of the same name — Phillips has only played a supporting role onscreen. In 2015, Leslie Greif got a call from cable network CMT. Fresh off the success of Nashville, the network was looking for another original TV property to develop. 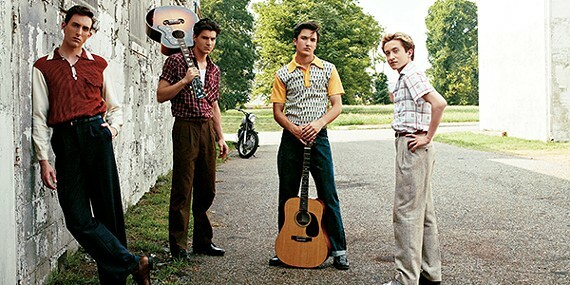 "I had just seen [Broadway musical] Million Dollar Quartet, and it just flashed in my head, wouldn't it be great to tell the story of the birth of rock-and-roll? It all came out of Memphis. That's what got me going." Greif is a veteran TV producer who developed shows such as Walker, Texas Ranger and the Emmy-winning 2012 miniseries Hatfields & McCoys. Greif says his father was friends with songwriters Jerry Leiber and Mike Stoller, who penned early rock-and-roll hits such as "Hound Dog," "Kansas City," and "Jailhouse Rock," and he was a huge fan of the music. "I grew up surrounded by it as a little kid, and I loved it," he says. 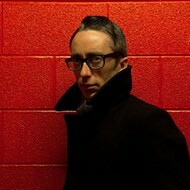 Greif optioned Million Dollar Quartet and started working on the project while he was in production on another show, Texas Rising, which was helmed by director Roland Joffé. "He talked about it quite a lot," says Joffé. "I loved the area he was looking at — that wonderful time in the 1950s when all of this musical movement, which really gave birth to pop music, and therefore much of modern music as we know it, was actually happening. It was a fascinating time, and it raised really interesting issues about art and music in general." On the West Coast, writer and producer Gil Grant needed a change after six seasons' work on NCIS: Los Angeles. "If I was going to do another show about PTSD, I was going to get PTSD!" he says. "I was looking for something a little more interesting." He interviewed with Greif's ThinkFactory Media. "This was originally designed to be a four-part miniseries. Once they decided there was so much rich material here, let's open it up and spread it out and see if we can do a series, they realized they needed a show runner who had done it before. Their experience was in miniseries and reality. So, I got the gig. I had done a musical before. Early in my career, I created a show called Hull High. It was a high school musical directed by Kenny Ortega, who went on to do High School Musical. We were only about 20 years ahead of our time. This really was up my alley." Meanwhile in Memphis . . .
Around the same time, Memphis Film and Television commissioner Linn Sitler got a call from a producer inquiring about Tennessee's state film incentive program. The call came at a particularly opportune time. Sitler, with the help of State Senator Mark Norris, state film commissioner Bob Raines, and the county and city offices, had managed to gather state support for new production. There were two candidates: the crime show Quarry and a 20th Century Fox adaptation of Peter Guralnick's Elvis biography Last Train to Memphis. "Quarry had been gung ho to base here, even though we could not match Louisiana's incentives. What had happened was that, 20th Century Fox went away — they shelved that project, at least temporarily — and Quarry decided to shoot almost everything in Louisiana. Here we had whined and moaned and bullied, and gotten almost $4 million, and all of our projects had gone away! So when the call came in, I could say, 'Oh, we happen to have over $4 million for qualified projects!'" Hollywood accounting is notoriously opaque, and the nuts and bolts of film incentives are even more confusing. But the bottom line is that state film incentives can make or break a production. "It makes all the difference, because if you go to one state, you can buy a Buick for $25,000. If you go to another state, you can get the same Buick for $18,000," says Sitler. Greif and Joffé really wanted to base the production in the city where the history had happened. "If it wasn't for the tremendous help from all of your people in the state of Tennessee and the city of Memphis, Linn Sitler and Senator Norris and Bob Raines. ... These people assembled all of the proper entities. The Chamber of Commerce chipped in; the tourism bureau chipped in. They made it possible. And we had great guys like Jack Soden from the Elvis Presley estate. They all supported this project, and once they did that, they opened up the world of the local Memphis community. Everyone in Memphis, the Peabody Hotel, the Gibson Guitar factory, Humes High — every entity was like, what can we do to be helpful? All that spirit, combined with a little good luck, made it so we were able to bring this project to Memphis." 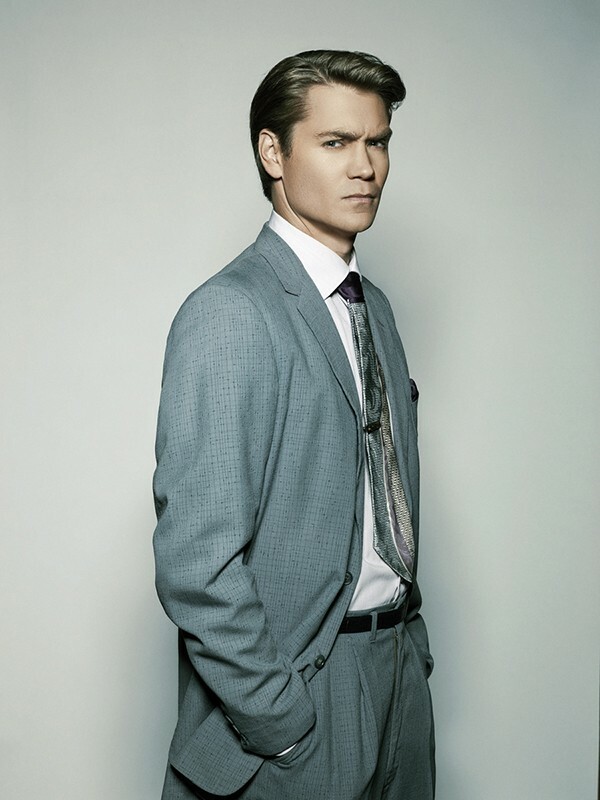 For months, the production searched for its Sam Phillips before calling on actor Chad Michael Murray, who had worked with Greif and Joffé on Texas Rising. "I just kind of starting looking into Sam's life, and I fell in love with the guy," says Murray. "I thought he was insane in the most beautiful way. He was so ahead of his time! ... I call him the Wizard of Oz. He was the man behind the curtain pulling the strings for these gigantic legends and icons." Murray's research for the role included spending time in the Bluff City. 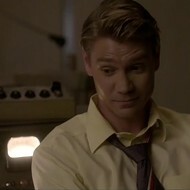 "One person would tell you one version of the Sam Phillips story, another person would tell you another version of it. I just kind of took pieces from what people told me in Memphis, and everything that I studied and read. ... Sam was a charming, sophisticated, complicated motor. He was just go, go, go, go, go. When I sat down with Roland, we really wanted to make sure these things came through in the work. That passion, that drive, that charm, and charisma." Grant says getting the character of Sam Phillips right was crucial, particularly the love triangle between Sam, his wife, Becky, played by Jennifer Holland, and his assistant at Sun, Marion Keisker, played by Margaret Anne Florence. "Sam was a very complicated individual. He was a very flawed individual — his family will talk about that — but he was a brilliant individual. On the one hand, here was this guy who, musically, he would get whatever he could get out of you to make you better than you are. And yet at the same time, he's fooling around on his wife with Marion. I think he had a great deal of guilt over it, but it certainly didn't stop him. And it doesn't end there. Yet he stayed married to Becky his entire life. It's a tough role. You have what could be a very unsympathetic character, but Chad is naturally very charming, kind of like Sam was, and he played into that. I think you can see the conflict on his face. He loved Becky, but he loved Marion in a different way. And you also see the raw passion when he sees a musician that sparks him. Chad really prepared for the role. He took it to heart." Florence's mother was born in Memphis in 1948. "My grandfather actually owned a couple of restaurants: The Riviera Grill and a place called The Old Master Says," says the actress, now based in New York City. She says her familiarity with the city's culture and music helped get her the part but that she was not familiar with Marion Keisker, the woman who was the first person to record Elvis. "Unfortunately, the women are not well documented in this time period. It's been the blessing and the curse of the role. It's nice that I don't have that same pressure of being somebody like Elvis or Johnny Cash, that people are so familiar with and have an idea of how they should be played," she says. 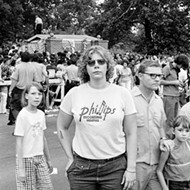 Keisker, who died in 1989, was a graduate of Southwestern in Memphis (now Rhodes College) and had a radio career of her own before joining Sam at Sun. "I don't think she took a lot of flack from anybody," says Florence. "That's been an awesome part of the character to play. Luckily, the writers built that in to what we're doing. I think it's really important that you see her standing up for herself all the time, in any situation, whether it's with Sam or with other producers who come into the studio. ... That's something the director really stressed, just to keep her as intelligent and on top of things and respectable — a woman that people could admire, even though she was maybe not doing the right thing, having this affair with Sam." 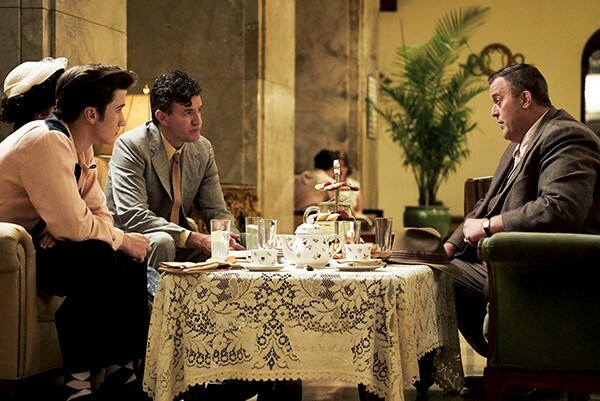 Romantic tension between Sam, Becky, and Marion is crucial to Sun Records' drama, but the facts of the affair are unclear. "Some people believe it happened, some people say it didn't," says Murray. "We've always been very, very clear that we're not a documentary," says Grant. "We're doing a show that's inspired by true events. We try to be respectful of the characters we're portraying. We try to get the big moments right. But within that, we're a dramatic piece of fiction." 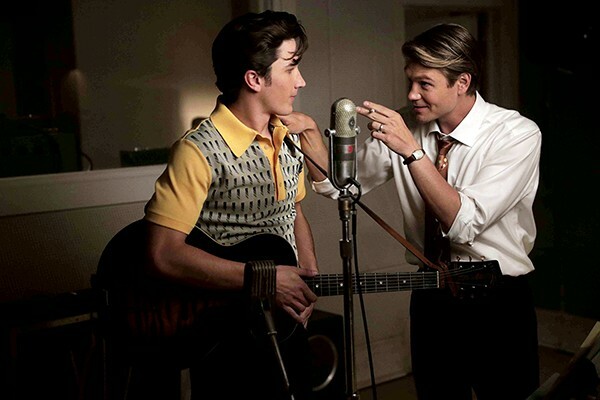 But there's no doubt that the spark between Murray and Florence gives Sun Records life. "Chemistry is a very strange thing," says Joffé. "It's not something you can talk about. You've got to find a way to get those actors to sort of engage with each other. You can do that by telling them slightly different things that they want to get out of the scene, so they're discovering what the scene is about as they go. A lot of the chemistry is discovery. When the actors are starting a scene, they don't know where it's going to end up. I think that keeps it very alive and helps the birth of chemistry. It also helps if the actors both have a sense of humor, because a lot of chemistry is in humor. In those little looks they exchange. They have lovely chemistry, those two." 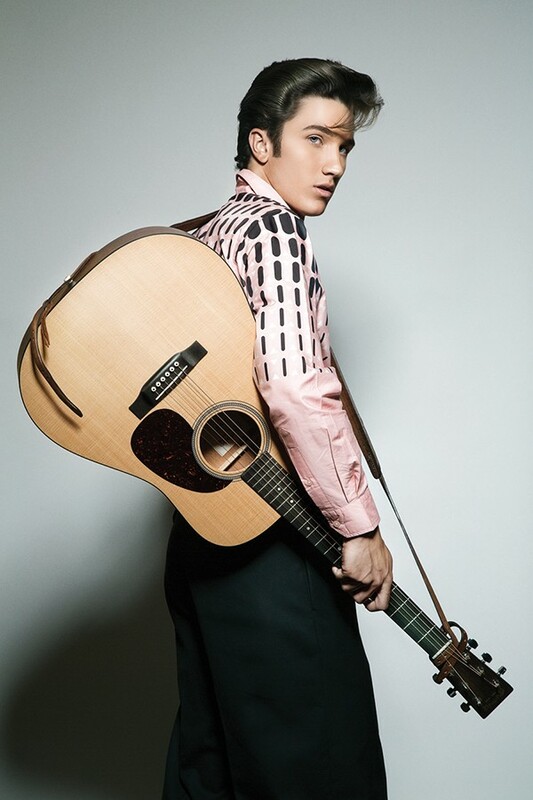 Drake Milligan's first screen role was playing Elvis Presley in the 2014 short film, Nobody. "The producers saw the short, and they brought me out to the calls in Memphis," says the Fort Worth, Texas, native. Playing one of the most famous people who ever lived is a heavy burden for a novice actor. "My goal is to portray him as humanly as possible, and to get the feel of what it must have been like to be Elvis, coming from Tupelo and not having a lot of money," he says. "Then all the sudden, fame hits, and it's a roller coaster ride. He went from government housing and Memphis public high school to being the biggest star in the world in a matter of a year and a half." "He did brilliantly," says Joffé. "Drake is a natural. I loved working with him, because it was almost like doing a documentary. He has a natural charm and a natural Elvis shyness in him that I really like. That's a side of Elvis that people don't remember, the fact that the young Elvis was very shy. A lot of things he did afterwards was his way of dealing with his shyness. A lot of the pain of Elvis' life, and there was quite a lot of it, had to do with that fact that in some ways, he was a home body, and in other ways he was an icon and a wild man." According to documents provided by the film commission, the total expenditure in Shelby County exceeded $6 million. 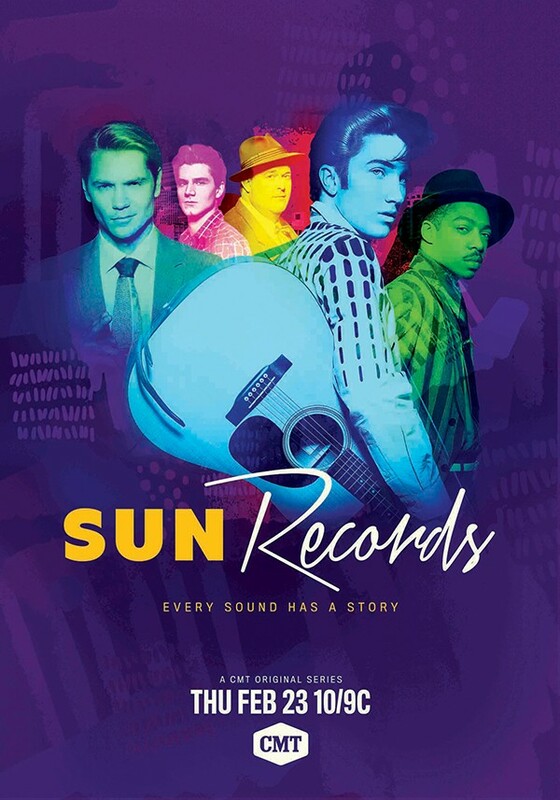 Sun Records shot in Memphis for 70 days in 2016. "That was longer than most films I have catered," says Erik Proveaux, owner of Fuel, the restaurant, food truck, and catering firm that provided food for the mammoth production. "That's a huge deal for the economy. Each of those days is like a big production. It's like doing a wedding every day for 70 days. It paid for a new truck for me and allowed me to move ahead on other aspects of my business." 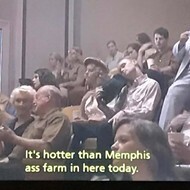 It was the biggest production Memphis had seen in a decade, and that had a big impact on local crew members who had been struggling. "Some crew people, I know of one for sure, had not had health insurance," says Sitler. "Even though this guy was not a union member, he still had to receive union benefits. 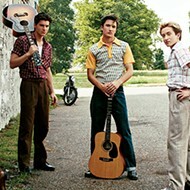 He was able to have surgery he had put off because of Sun Records." Joffé, who has had a long career in film and TV and has shot all over the world, says his experiences in Memphis were unforgettable. "The show hinges on Memphis' heritage in many ways, and I think Memphis should be very proud of it. The history of Memphis is the history of your parents and grandparents and their parents. That's really important, when people live in a city that has a sense of past lives lived. Those lives affect the city. ... I felt when I was there that this is a city that's getting itself together, a city that's re-finding its voice and its confidence. It has a lot to offer. I really enjoyed being there." 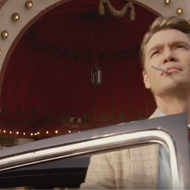 Grant says the city's stock of varied architecture, much of which is still standing from the 1950s and '60s, made it easy for the production to get the necessary vintage look. But he could tell the future was bearing down. "I feel like Memphis is ready to pop. Downtown Memphis is ready to become one of the great small cities in the United States," he says.